Canadian label Aphelion Imprint’s DNA displays a vivid affection for underground Electronic music. 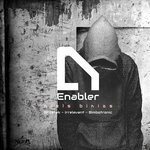 Its latest release comes courtesy of their Euro-fam, German Niels Binias who recently released his 4-track EP, ‘Enabler’. With the labels full support, Niels unveils three new remixes of the “Enabler” record, with the EP providing existing fans an additional dimension to the popular track. An extended dark and eclectic journey we present you with three fresh takes of the single coming courtesy of producers Ghostek, Bimbotronic & Irrelevant. Each remix possess’ its own take on calm and eery Future Garage sounds. With each remix unquestionably original, these shuffling beats, broken voices that suffocate beneath a heavy bass and ambient soundscapes are taken to a whole new level. Transit yourself into this newfound territory for “Enabler” and enjoy its longlasting impression.